“What’s the Primary Cause of Wealth Inequality?”, Charles Hugh Smith asks. It’s financialization, which he describes as « the mass commodification of debt and debt-based financial instruments collaterized by previously low-risk assets, a pyramiding of risk and speculative gains that is only possible in a massive expansion of low-cost credit and leverage ». Wealth inequalities have been rising since the early 80’s, when financialisation began. Unlike the aftermath of the Great Depression of 1929, in which the bottom 90% saw their incomes rise, the 2008 economic crisis brought lower revenues for the same group, Smith writes. 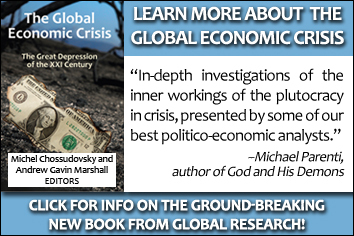 It’s important to understand that the 2008 economic crisis “was the result of institutionalized fraud and financial manipulation.” This scheme which enriched the wealthiest and impoverished the rest of us was exposed in The Global Economic Crisis: The Great Depression of the XXI Century (Edited by Prof. Michel Chossudovky). We are still being deceived and lied to. 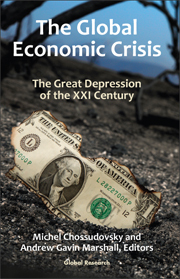 If you wish to understand the Great Depression of the XXI Century, get your copy of the book on our online store. Or become a Global Research member and GET 2 BOOKS! The Global Economic Crisis: The Great Depression of the XXI Century and The Globalization of War: America’s « Long War » against Humanity.